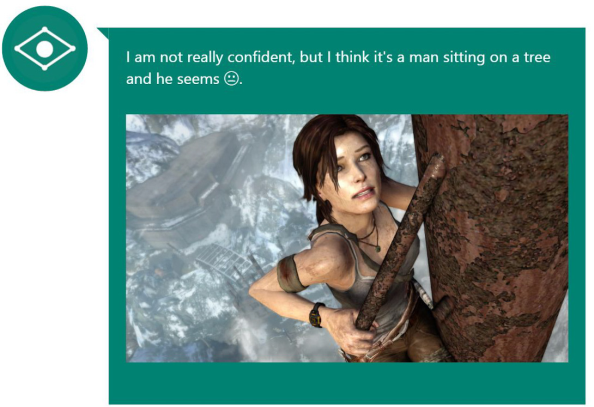 Microsoft have built a new internet AI and it’s already an improvement on the last, by dint of not being racist. 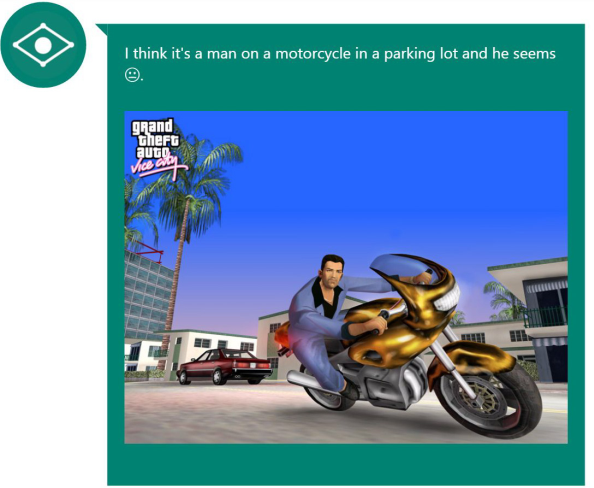 In fact it’s oddly endearing: a bot that claims to be able to identify the contents of a given image, but plays down the results – as if embarrassed now that everyone’s watching. 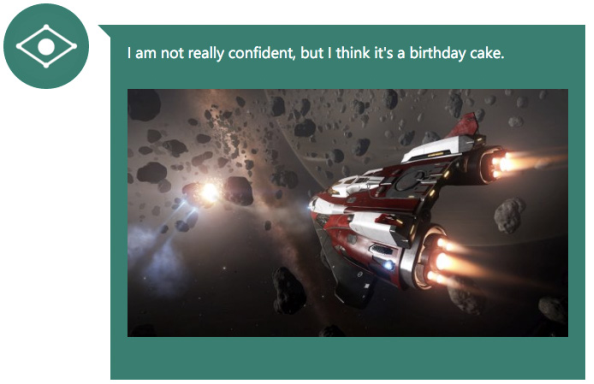 Why not test out images from the best PC games with CaptionBot and see which variety of cake it thinks they are? 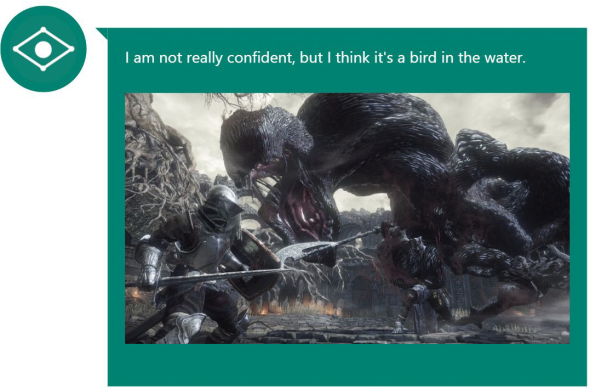 “I am not really confident…”, CaptionBot often begins, hedging its bets – before going all in on an incredibly specific interpretation. “How did I do?”, it asks afterwards. Hrrm. We’ll let you lot be the judge of that. 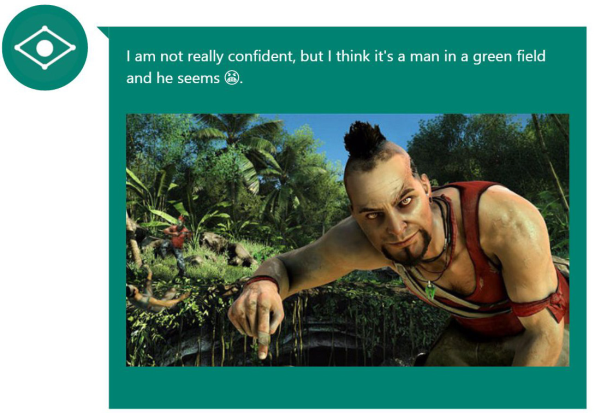 That is… totally spot on, down to Vaas’ general demeanour. 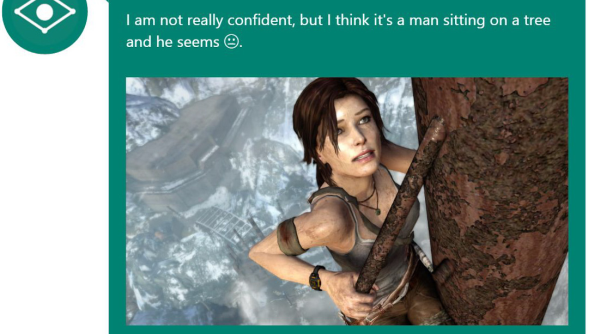 Clever CaptionBot knows the definition of insanity. 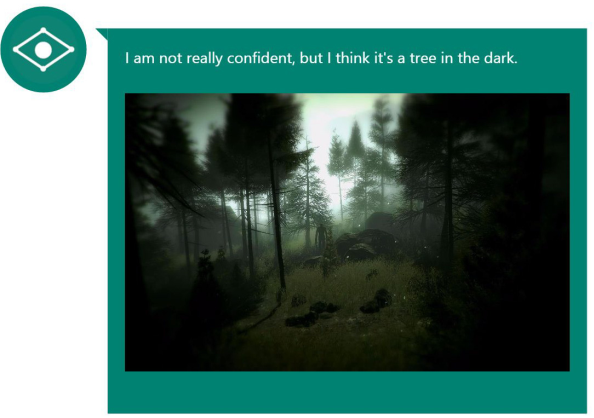 If only that’s all there was to see in Slender. But again, we’ve got the gist. I think we’re on a roll here. 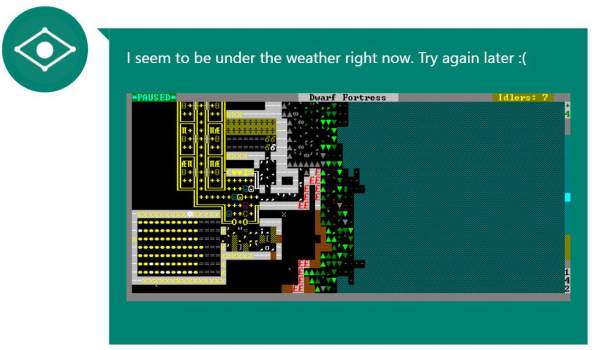 Failure to readASCII, or meta commentary on the sicknesses that Dwarf Fortresses are so often striken with? Unclear. 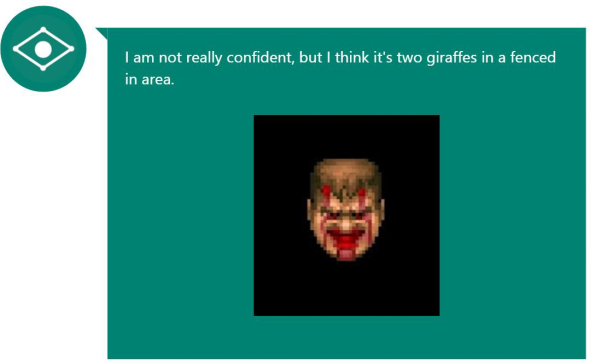 Ha, WRONG, CaptionBot. It’s Dark Souls III’s *consults Google* INDEX GUNDAM. Er, Gundyr. Iudex Gundyr. Nearly: it’s a person capable of holding a tennis racquet between their muscular cheeks. Street Fighter’s R. Mika. Alright. How about a nice, easy Call of Duty screenshot? 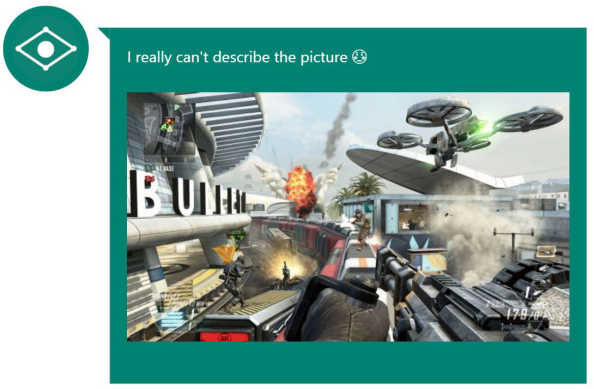 One designed to convey what, say, Black Ops 2 is all about in a single image? OK. Actually, yeah. 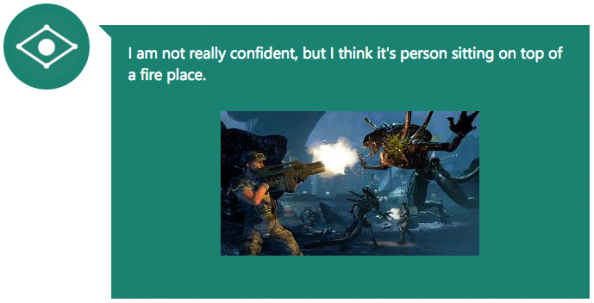 Us neither, CaptionBot. Don’t worry about it.